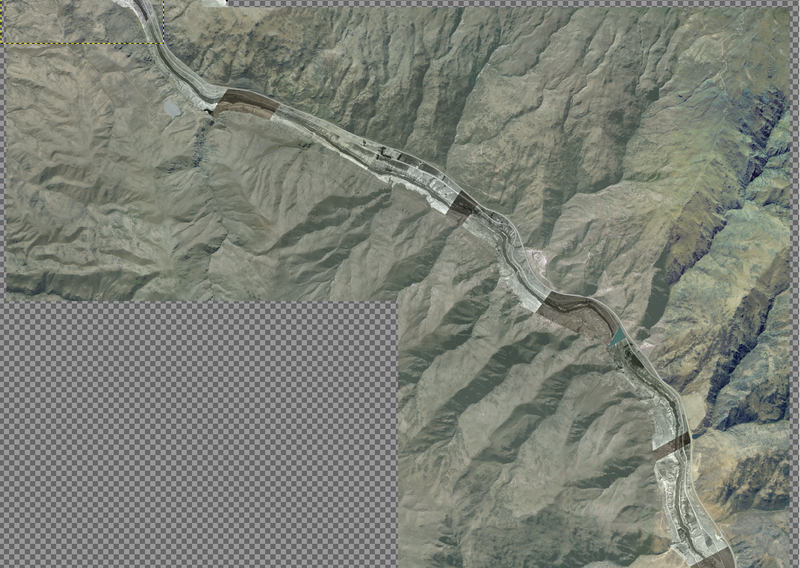 So what you can see here is part of the Gimp project for all the aerial images for the Cromwell gorge. So a few days hard work has seen all the aerials get put together and the bulk of the work needed to merge the 1962 aerials with the georeferenced Linz aerial photography has now been completed. When I first started working on this I was doing one tile at a time, but because the historic aerials frequently overlap different tiles, it is just that much easier to pull everything together into one Gimp project file and then cut out the individual tiles at the end. There is a bit of tidying up needed of the images then they get cut back into their respective tiles to be loaded back into Qgis where the maps can then be revised, updated and published. I am keeping it simple and not doing too much tweaking in Gimp, only what is really needed. Lightening up all those dark bands of aerials is one of the things I am doing. So I expect the revised maps will be ready by the end of this week.